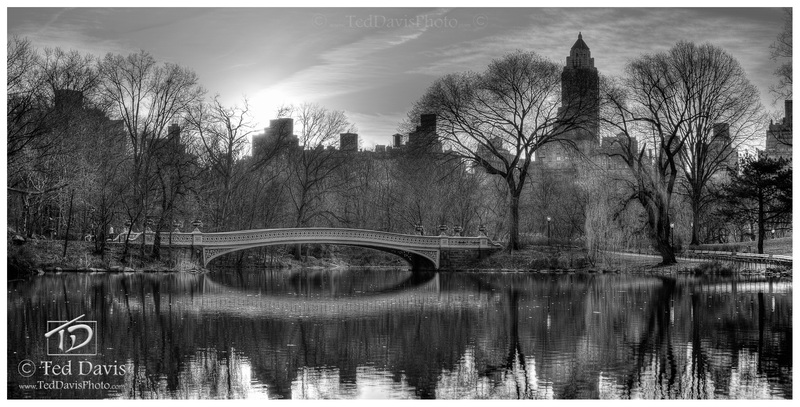 A timeless quality caught me on an early spring morning in New York City's Central Park. The reflection of the bridge in the water, the darkness of the shadows and the trees all just spoke to me. I’d been shooting film for as long as I could remember, and this is the exact shot I remembered why. Flush with excitement as the ripples in the water slowly expanded giving the seen an eerie impression, I realized that as fantastic as your equipment can be, it is the moment that creates the memory and the photograph. With the sunrise briefly hidden by the buildings of New York's Upper East Side, I had the shot. Photo © copyright by Ted Davis.